Yes, you heard that right! We have a winner! Over in the Gettin’ It Pegged! Yahoo Loom Knitter’s Chat Clique (it has to be a long name to contain all the fun, lol) we have a yearly tradition. We have several ways to participate in loomy contests throughout the year, and then when we get to the end-of -the-year-beginning-of-the-new, we have a few games, maybe a loom along, and then we have some prize drawings for all those folks who have participated in all the above things throughout the year. Pretty cool, huh? 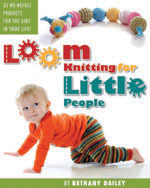 Loom Knitting Skills Checklist: We’ve been working on compiling a database that has all kinds of loom knitting skills with the links to where these how-to’s are found, and/or the best example of that skill in a book. This is a terrific resource for all loomers out there, and for us as a group, it’s an ongoing project to pin down all those cool techniques. 🙂 Each instance of participation has earned that loomer an entry into the drawing. Loomy To-Do Progress List: This is a place for listing all those projects that we have hanging around on our looms and just can’t find their way to being completed…yes, UFOs! (Un-Finished Objects) For each UFO that was completed during 2010, the loomer receives an entry into the drawing. Countdown to Christmas at the Clique 2010: This is where we get to plan our loom knitting projects that we intend for holiday gifts. It helps to see them all in one place, organized and easily refreshed with our progress. For each completed gift in 2010, the loomer received a drawing entry. This is rather perfect, because the whole thing for the checklist was really Stasia’s idea, lol. I’m so glad that the random numbers generator knew what it was doing! 😉 To visit her new website just click on her name above… she’s beginning to compile all kinds of great information about loom knitting all in one place… be sure to check on her progress now and then, because I think it’s going to be a wonderful resource! I’ll be back very soon with more prize announcements to make… yep, there’s more goodies to be handing out for all those other categories! Until then…have a wonderful rest of the week! This entry was posted in Blogging, Contests, Free Loom Patterns, Gettinitpegged Gear, Holidays, Loom Alongs, Loom Knitter's Chat Clique, Loom Knitting. Bookmark the permalink. 11 Responses to Our first WiNNeR is…. Yeah! I am so excited. I love my Lady Bug Bag so this will be a great addition. Super HUGE Congratulations, Stasia! Now you’ll be able to carry 2 different projects around in style! Congratulations, Stasia! I can’t think of anyone who deserves it more. BTW – I’m so drooling over that beautiful bag! Congratulations. I would love to join in on some looming projects. I feel pretty overwhelmed right now as all I have really done are scarfs and a purse. I want to venture into other things. I am going to try the oven mitt challenge. I will be off to the store to get my yarn tomorrow! YEAH!! Can’t wait to post a picture. Yay Renee!!!! 😀 We’re so glad to have to you pick up the challenge! 🙂 I’m positive you’ll do great at it! Thank you all! The bag has already drawn a lot of interest, as I loom knit around town, it is such a fun color, everyone looks close to see what it says, and then ask wonderful questions.